"... Excellent pre-workout, but I warn you all it's very advanced. Meaning, the caffeine content is quite high so you might want to start with one scoop to test out your reaction. I use two each workout and really get a lot out of it. Excellent pumps and endurance as well, I usually train roughly 2 hours. My new favorite pre-workout drink, previously it was C4 and before that 1MR.. the evolution continues!" "... I like it. I can work all day, take this and still have energy to lift with a good pump. It makes my skin tingle but that gets me going going." "... What are the ingredients for this product? I understand it recently came out, but I'm sure a lot of us are interested in the ingredients more than the hype." Ingredients have not been released, otherwise this site would have them listed. Patience young grasshopper! L-Citrulline, CarnoSyn Beta-Alanine, DMAE Bitartrate, PhytoBlend, Caffeine, Capsimax Capsicum Extract along with a handful of others. 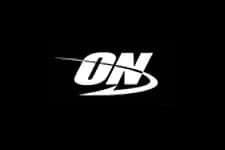 Optimum Nutrition is clearly one of the industry's leaders thanks to numerous innovative products and their latest Platinum PRE is sure to set new one yet again. This pre-workout drink is designed to get you through your toughest workouts with ease and keep you coming back for more. One of the first things that jumps out at us here at fitFLEX is that compared to other leading solutions where the effects fade quickly after 15 minutes or so, this one runs full throttle throughout your entire session. So you can get the great pumps, focus and energy right to the last set. As with most other pre-workout drinks, you'll get a vast improvement in your vascularity and muscle pumps thanks to the increased blood flow and due to the improved transport system you'll deliver critical recovery and growth compounds to the cells. Trust one of the most trusted brands for a reason, you'll get the results you want without the fillers. Tremendous Energy & Focus with Each Serving - Power Through! Ingredients with Benefits that Last for the Entire Workout!